Designed to protect equipments from surge and spikes, our transformers can be used with modern sophisticated micro processor based equipment and are practically maintenance free! High efficiency, high reliability and accuracy. 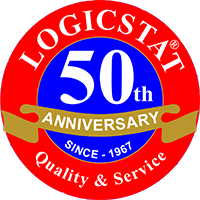 Compact, rugged in construction, free standing, floor mounting model and housed in sturdy metal casing with sufficient ventilations. Double wound with copper conductor with low coupling capacitance to isolate the voltage spikes and noise from the mains. Suitable for use with modern sophisticated micro processor based equipment, CNC machines, computers and other Industrial processing. Supply and outgoing terminals brought out with proper brass bolts and double nuts and washers under sheet secured cover with proper marking. The main body of the equipment shall have double earth arrangement. To withstand the ambient temperature up to 55 centigrade and 95% humidity. Transformers shall be provided with rating plate giving the details. No spare required for 2 years of normal operation. Isolation resistance shall be greater than 1000 M. Ohms at 500 V DC. Noise/Spike suppression shall be more than 135 db. The magnetizing current shall be less than 10% of the full current load. The transformer shall in general meet IS: 2026. 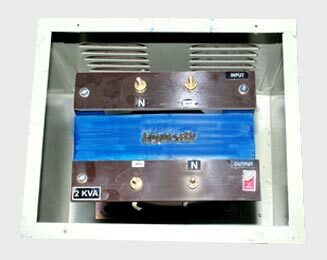 The transformer is provided with one electrostatic shield between the primary and the secondary. It can be used where there are spikes and noises in main supply system. 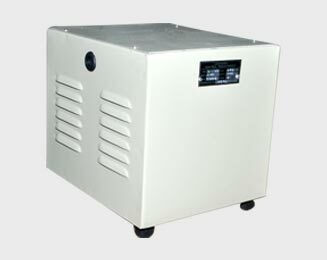 It is suitable to protect sophisticated micro processor based equipments, CNC machines and computer laboratories. 2. Carbon brush may have worn out broken. 3.Snapped or loose; connection on input/output. Sound i) Adjust P3 plot clockwise on the servo controlled card. Keep switching in ‘auto’ mode. ii) The gear on the motor and the main gear mismatching. Adjust the motor by loosening it four holding screws and moving the motor to match the two gears. Tighten the motor in the correct position. Regulating i) Put the switch in manual mode and try to raise or lower the output voltage. ii) Check if the motor is running. Incase no change in voltage occurs; the gear on the motor shaft is definitely not matching with the main gear. Please do the needful as explained above. iii) Put the switch in auto mode after correction. If still not regulating to the correct value the control card may be defective. Before removing the control card short terminal No. 5 & 6 and then check. If still no function in output voltage occurs , change the card. iv) The voltage adjust pot provided on the front panel may be open, change the pot. Beyond limits i) Check for overloading on all three phases. The normal temperature of the oil should not be more than 45 degrees centigrade above the ambient. If the temperature is more there may be some short in the winding. Thus, requiring a major repair. ii) The oil might have fallen due to some leakage and this can also result in overheating.